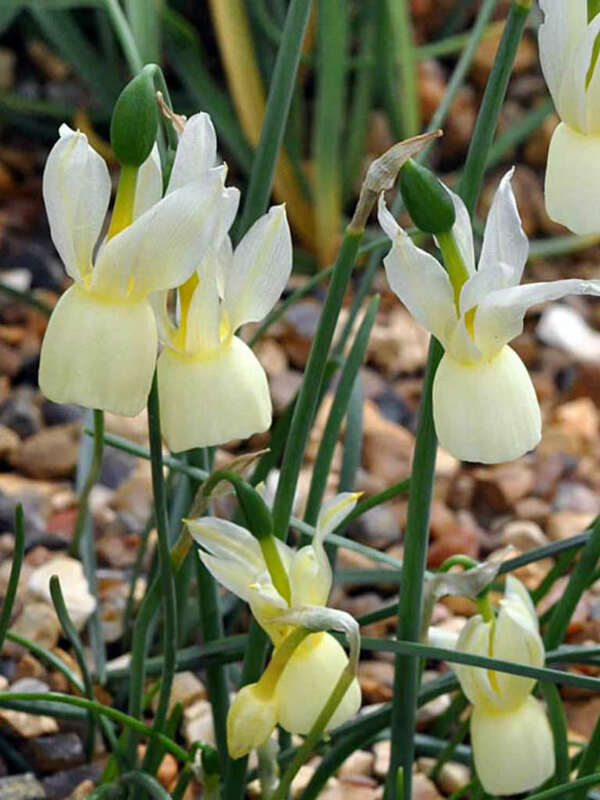 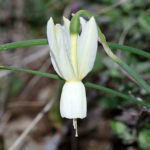 Narcissus triandrus is a dwarf, bulbous perennial with up to 6 nodding, pale creamy-yellow flowers. 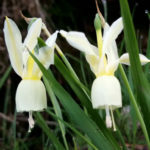 They are fragrant, up to 2.4 inches (6 cm) wide, with reflexed perianth segments and on stems up to 12 inches (30 cm) tall. 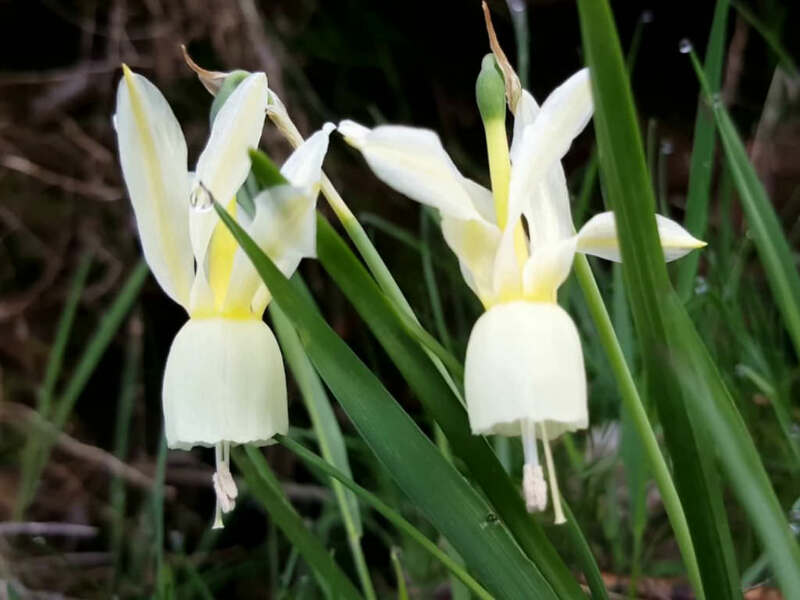 Flowers bloom in mid-spring. 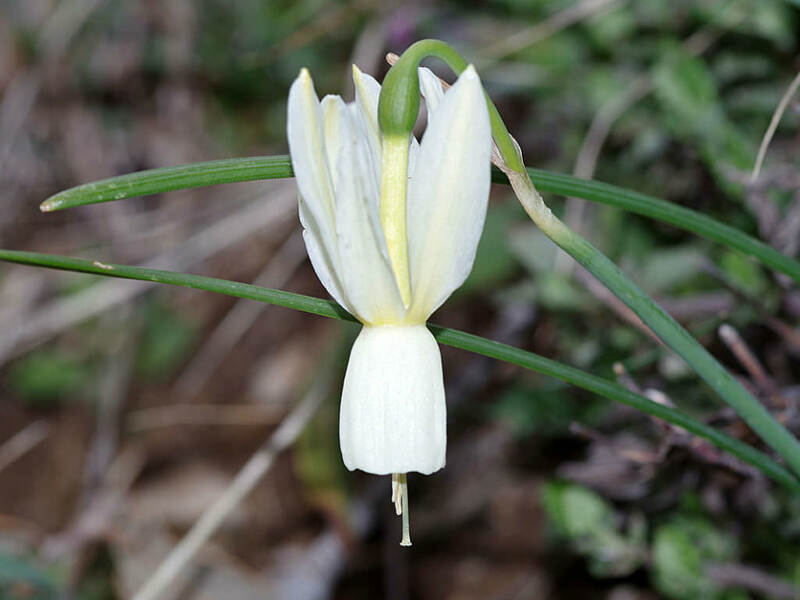 The leaves are narrow and dark green in color. 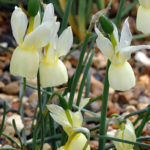 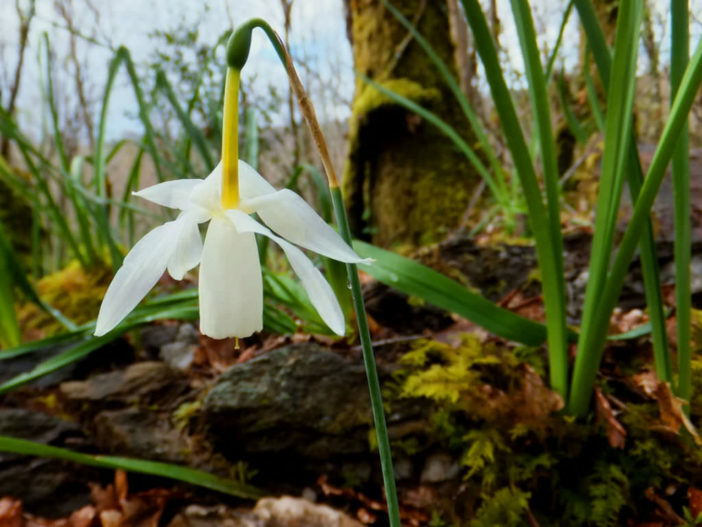 Narcissus triandrus is native to France, Spain and Portugal.